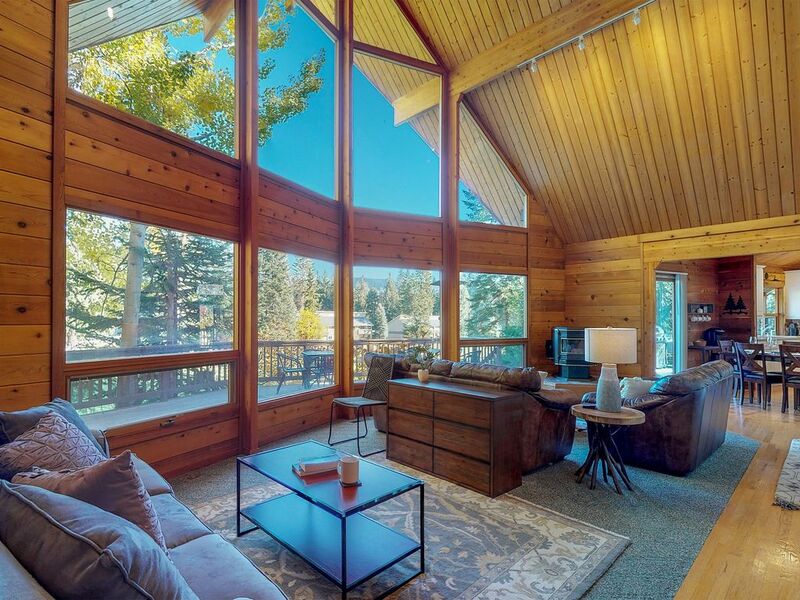 Year-round fun awaits at this peaceful home at Kahler Glen Golf & Ski Resort. Abundant natural light and views of the 9th hole and Cascade Mountains are showcased by the floor to ceiling windows in the great room. You'll be treated to a wrap around deck that's ideal for summertime barbecues, an open floor plan and ample seating for friends and family to gather. Warm up by the pellet wood stove or unwind with a bath in the jetted tub, relaxation is easy to find here! Situated at the popular Kahler Glen Resort, you'll be walking distance to golf, tennis, and the Wildflour Restaurant. And come winter time at the resort, you can cross-country ski the groomed trails or ice skate on the frozen pond. For downhill skiing, Stevens Pass Mountain Resort is just 25 miles west. Lake Wenatchee State Park is only three miles away, where you can hike, swim, or rent paddleboards. Take a scenic drive to the Bavarian-themed town of Leavenworth, just 20 miles away, for brews and brats. It was a great place to unwind. No problems and the space was nice and big. This house backs up to a groomed cross country ski track, a great sledding hill for kids and is also relatively close to Stevens Pass Ski hill. The roads were well maintained and our daily trip to the mountain was easy. There is also a hot tub which was perfect after skiing. I can't recommend this home enough - we just loved it. The management team was also amazing to work with. The house was very clean and had all the amenities that we needed. Thanks again! We visited for a winter holiday and we were graced with a fantastic snowfall our first night. We sledded and played and had lots of fun. The home was beautifully furnished. All the pots and pans we needed to cook and bake were available. We even used the rolling pin. The beds were comfortable and the TV was HUGE. We'll be back for sure. We loved the cabin and the beautiful views of the snow! Easy to play and come back inside to get warm! My family and I had a lovely vacation in this house, everything was clean, well organized, very cozy, and they were a lot of fun things to do around. Loved it! Spacious. Clean. Comfortable. Lots of open status. Great social area for large groups. Lots of towels. Only improvement - would be great if they had coffee, and if the hot water would have stayed on for more than 2 quick showers. Great porch deck area too. Nice they had a garage for the cold weather. Easy to find the spot. Overall love the space and would come back again!